Freshly-picked plums are used to create plum preserves. Plum preserves are sweet spreads made from boiled plums, typically mixed with sugar and canned according to established practices of making preserved foods. Recipes for homemade preserves often call for freshly-picked plums whenever possible, and plum preserves can be made with several varieties of this fruit. Some sweet plum preserves are made with ripe, dark fruit, while other recipes can call for lighter, tarter plums that result in preserves that taste similar to citrus preserves. The process of making these kinds of fruit preserves is considered a fairly simple one, though it does require some specific supplies and steps to obtain the correct consistency and flavor. 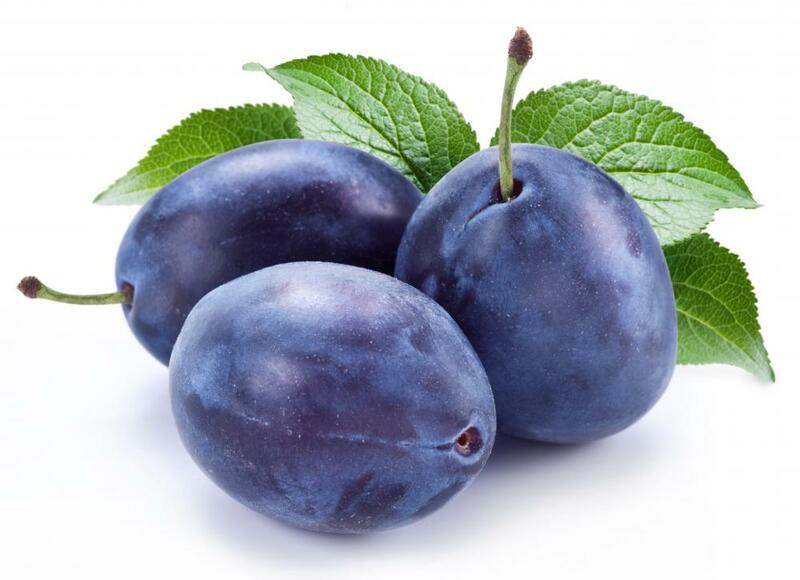 Most basic recipes for plum preserves require only plums, water, and sugar. Some may also call for fresh lemon juice to create more citrus flavor in the final result. The plums are usually peeled, pitted, and diced into small pieces before being immersed in a stove-top pot of water. Many home cooks recommend coating the inside of the pot with a cooking oil or nonstick spray to make the finished ingredients easier to remove. Practices for canning plum preserves generally consist of sterilizing the canning jars prior to cooking the ingredients. Most recipes call for keeping glass jars heated once they are sufficiently cleaned. This measure is taken to prevent the jars from possibly cracking or breaking from the quick temperature change when the hot plum preserves are poured into them. Recipes for plum preserves can have slightly varying instructions for heating the ingredients. Some experienced preserve-makers prefer to first simmer the mixture of plums, water, and sugar over medium to high heat before slowly bringing it to a boil. Others report better results from first bringing the water to a boil before adding the plum pieces and sugar. Most recipes advise to boil the ingredients for a maximum of 15 minutes to avoid scorching the plums or sugar. Cooking plums to be made into preserves also requires consistent stirring, often with a large wooden or plastic cooking spoon. This step is considered necessary for the finished product to reach the correct consistency. Once the homemade preserves reach a thick gel texture, they can then be transferred to the canning jars. Another important step is to leave a small amount of space between the top of the preserves and the sealed lid of each jar to allow for expansion as the preserves cool down. What Are the Best Tips for Home Preserving? What Is a Yellow Plum?